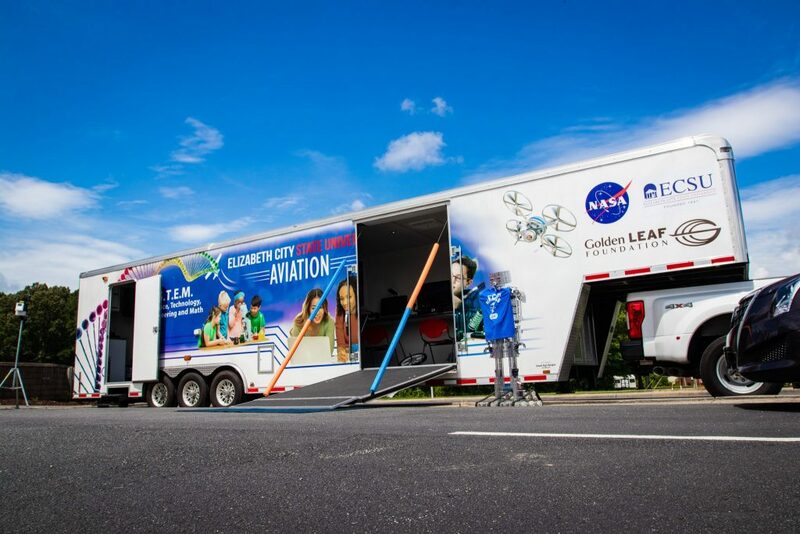 The recent NASA grant award to ECSU helps fund STEM education outreach such as the use of the Mobile STEM Lab. The lab is designed to deliver STEM education programs to school children across ECSU’s 21-county service area. Elizabeth City State University has been awarded a NASA grant for more than $320,000, funding outreach for STEM (science, technology, engineering, mathematics) education, conducted by the NASA MUREP Aerospace Academy of Northeastern North Carolina. The NASA Minority University Research and Education Program (MUREP) Aerospace Academy (MAA) selected seven Minority Serving Institutions (MSIs) for cooperative agreement awards totaling nearly $2.3 million. The grants will be used to build the interest, skills and knowledge necessary for K-12 students to pursue STEM careers. Technology Department chair, Dr. Kuldeep Rawat, says the funds will span two years and assist ECSU in reaching out to students across the university’s 21-county service region. 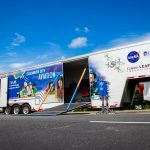 Throughout the year ECSU will host a number of academy projects for students, including its summer programs and on-site programs using ECSU’s NASA Mobile STEM Lab. ECSU will adopt a grade-appropriate NASA curriculum to enhance authentic and experiential learning experiences through the integration of 3D printing technology, virtual reality simulation, unmanned aerial vehicle (UAV) design, mobile robotics, computer programming, and sensor-based measurement systems.